True Wild Life | Coati | The coati is a medium-sized mammal only found on the American continent. The coati is found widely distributed across North, Central and South in a number of different habitats. The coati is primarily found in dense forests and wet jungles as the coati will spend a great deal of it's life in the safety of the trees. 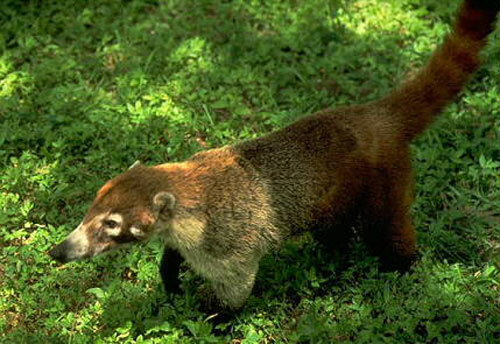 However, there are also coati populations inhabiting grasslands, mountains and even deserts across the continent. 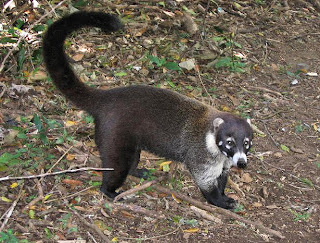 There are four different species of coati, two of which, the Ring-tailed Coati and the Mountain Coati, are found in South America, and the remaining two coati species, the White-nosed Coati and the Cozumel Island Coati, are both found in Mexico. The Ring-tailed Coati is found in the jungles and rainforests of South America, where it lives both on the ground and in the trees. 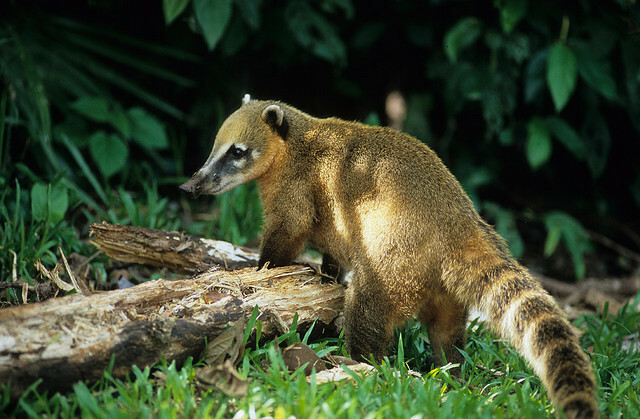 The Ring-tailed Coati has thick, tan coloured fur and black bands running along it's tail. The Mountain Coati is found inhabiting areas of the Andes Mountain range in western South America. 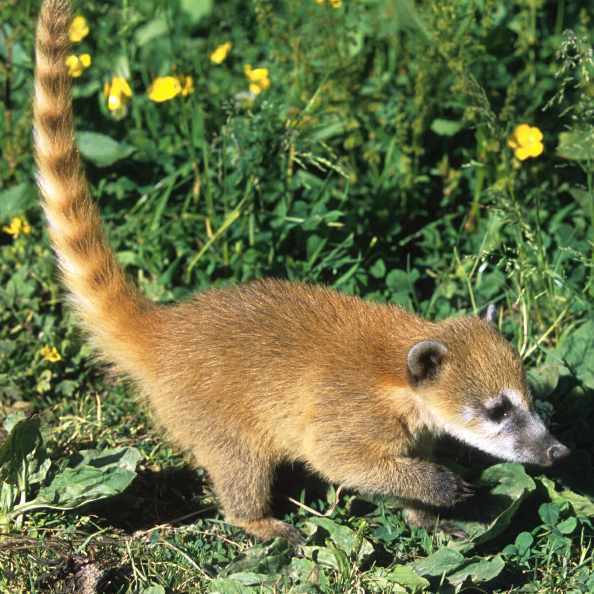 The Mountain Coati is also the smallest species of coati and is sometimes called the Dwarf Coati. 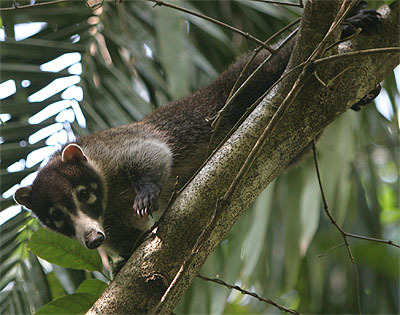 The White-nosed Coati found in parts of North America and throughout Central America, including Mexico. The White-nosed Coati is the largest species of coati with some individuals growing to nearly 120 cm in length. The Cozumel Island Coati is found only on the Mexican island of Cozumel, and is thought to have been taken there by the Mayans. Despite the obvious similarities between the Cozumel Island Coati and the White-nosed Coati, the Cozumel Island Coati is considered to be a separate species. Female coatis live in groups of between 10 and 30 individuals, known as a band. The male coati is a solitary animal and only comes together with the females to mate. The coati is a nocturnal and omnivorous animal, meaning that the coati eats both plants and animals during the darkness of night. 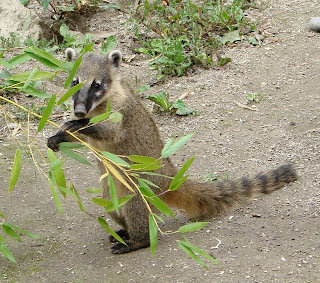 The coati eats a variety of different fruits, nuts and seeds, along with insects, birds eggs, rodents and small reptiles such as lizards and snakes. 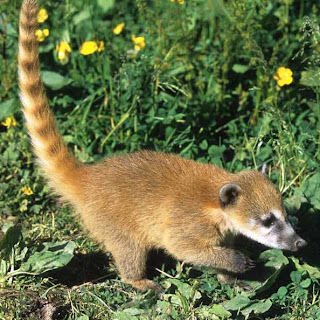 Due to the generally small size of the coati, the coati has numerous predators within its natural environment. Jaguars and pumas, along with other large wildcats, are the main predators of the coati, along with birds of prey, snakes and crocodiles. This was a great research! Thanks!